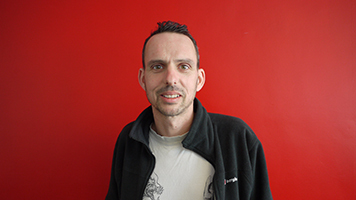 John is a highly experienced broadcast sound engineer, with over 15 years working in the industry. He has a wealth of experience working in the studio, but he hopes to be able to develop his career further and actually design them. Acoustics theory is used in the architectural design of theatres and halls, and anywhere where the level and quality of sound is important. "I want to branch out," said John, "and I think the course is helping me do that in two ways. One, I can now back up my professional experience with an understanding of physics and two, it's opening new career prospects in the area of acoustics." "I actually live closer to another provider of this course," said John, "but the facilities here really attracted me. LSBU has anechoic and reverberation chambers, and great labs. It's also really well-connected for public transport." John was able to enrol on the course thanks to the strength of his professional experience, and for him the mathematics part of the course has been tricky. "It's been a baptism of fire to be honest, but I feel like I've kept up by doing some extra work and the tutor support has been excellent." The tutors make themselves available and are quick to respond. They'll make time for you outside of class and are happy to give one-to-one support. The Diploma course is fully accredited by the Institute of Acoustics, the UK's leading body for acoustics professionals. The course prepares students to meet all the educational requirements for membership and John is hoping that the contacts he's building on the course, as well as his current student membership, will help him build valuable professional contacts.